In order to attend the wedding of my cousin Jayaram and the betrothal of my brother-in-law's daughter Saipriya, both myself and wife Sumithra proceeded to India on a short vacation on 3rd February 2011. We arrived at Chennai International Airport on 4th Feb 2011 early morning and proceeded to Kochi by train. After attending the wedding of my cousin Jayaram in Kochi on 6th Feb 2011, we proceeded to Coimbatore and stayed with my parents for 3 days. On 9th Feb 2011, we travelled to Bengaluru by train to be with son Sudharshan and on 12th Feb, left for Ahobilam temple in Andhra Pradesh. 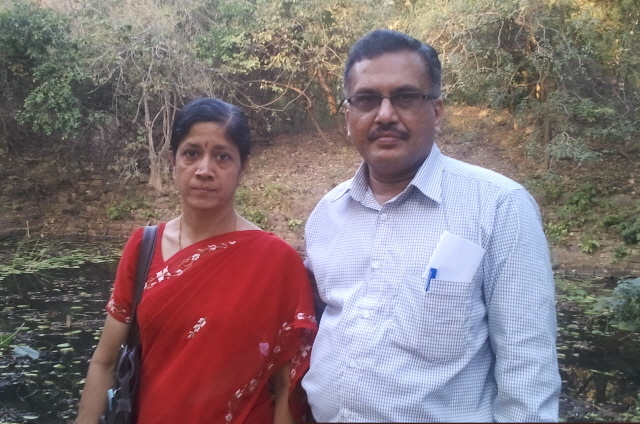 We returned to Chennai on 16th Feb, attended the betrothal of Saipriya and returned to UAE on 19th Feb 2011.